Quinta do Mouro is one of the Alentejo’s leading estates, but rather than adopt a new world approach, Mouro does things in a distinctly old world manner. 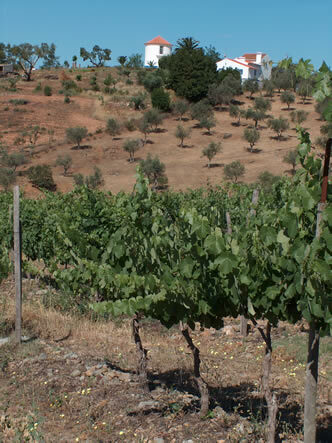 The well situated vineyards have a natural, almost organic feel to them (see above), and no irrigation is used – this is rare for the hot Alentejo. Like many great Bordeaux properties, the centre of this estate is a large Chateau. It’s a grand old house that was purchased by the Louro family some 30 years ago. 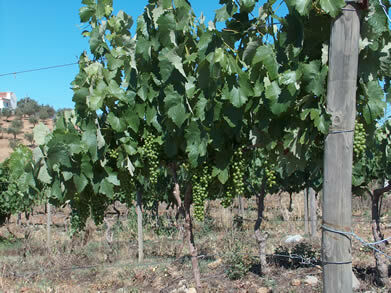 Winemaking didn’t start here until the early 1990s, and the first commercial release of Mouro was in 1994. 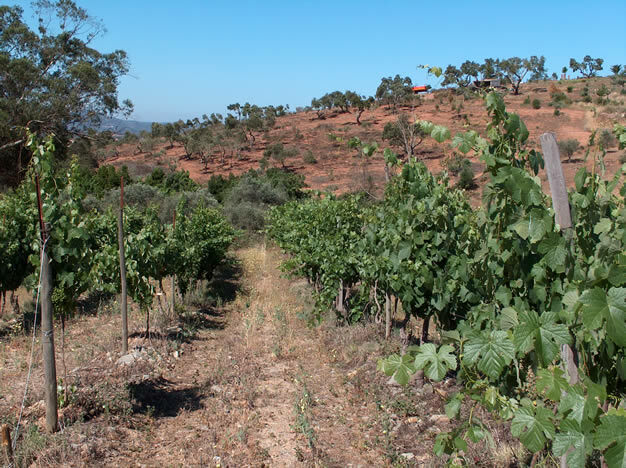 Vineyards are largely planted around house, and the original 6 hectares has now grown to 22 (including some vines around Estremoz). Luis Louro showed us around. 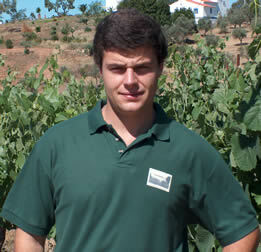 He’s son of the owner and founder, Miguel, and has studied in Lisbon. Since 1998 Luis Duarte has been consulting here (we met him earlier in the series at Malhadinha Nova). The winery occupies the bottom floor of the ‘Z’ shaped house. Now for the details. Everything is harvested by hand into 20 kg boxes. During vintage the courtyard area is covered over and houses the destemmer and some open fermenters. Grapes are crushed by feet for two days and then go into the winery. The cap is pushed down and pumped over three times a day. Most vintages, some 70 tons are crushed. A mixture of French and Portuguese oak is used. But, of course, while the methods are important, we’re interested in the results. And they're pretty impressive. Wines tasted in July 2005; More recent notes from 2008 are below these.